If you look at the lid you can see drops of oil. 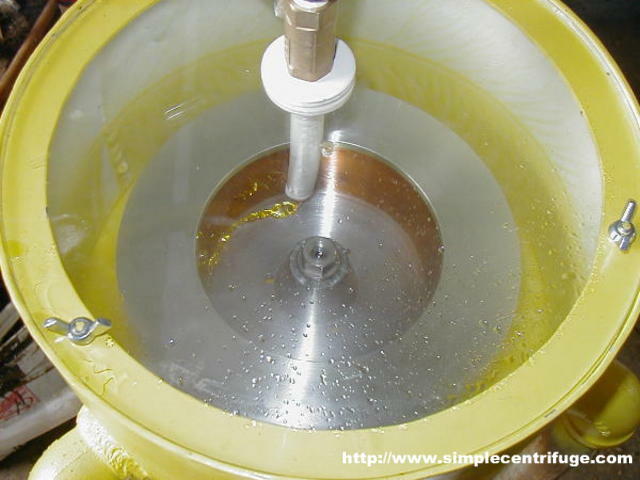 Most are 1/3 to 1/2 of a rotation from where the oil drops into the bowl. I think the drops were bouncing or flying out of the bowl because of where they are. I could be wrong. The bowl runs true and seem to work very well. It took me a lot of time to build the housing but it was a lot of fun.